Whether your home’s chlorine injection system is of the diaphragm or peristaltic style, regular maintenance of your system is important. Johnson Water Conditioning, serving the Chicago metro area for more than 80 years, offers some insights as to the type of maintenance our experts can provide to ensure your home only receives healthy, good-tasting water. By “variables” we mean things like chlorine type, chlorine strength, and the “feed rate” setting on your system. For example, summertime is when a household in Barrington, McHenry, or Wayne consumes/uses the most water. Thus, it’s important that you increase the amount of chlorine being fed into your system. But rather than worry about feed rate and chlorine strength, just adjust the time on your system so that it pumps longer (for a peristaltic pump), or increase the cam setting/pulse rate (for a diaphragm pump). Messing with multiple variables only leads to headaches and potential mishaps. At least twice a year, you should inspect your chlorine injection system. For diaphragm pumps, this means inspecting and if necessary replacing the diaphragm, along with inspecting the top and bottom valves, cleaning them, and replacing if needed. For homes that use a peristaltic pump, you’ll want to change out your pump tubes regularly. Your system’s roller assembly requires inspection too, since these require periodic lubrication and replacement. Neglecting your system’s rollers could lead to them becoming frozen or not rolling correctly, two problems that significantly reduce the pump tube’s lifespan. The room in which your chlorine injection system is located should always be clean and well-ventilated. Avoid using the room and/or the space around the system as a landing spot for boxes, odds and ends, etc. Instead, make sure that you keep spare parts handy near your system, and put the instruction/care booklet in a place where it’s easily accessible. Our water conditioning company in Chicago believes that a chlorine injection system’s injection fitting is arguably the most overlooked component in any system. Unfortunately, overlooking this component can lead to clogging, which in turn causes the chemical feed pump to work harder to bypass the clog. This is why injection fittings must be cleaned and/or changed regularly. For those customers with a peristaltic chlorine injection system, it’s vitally important that the pump tubes be monitored and changed regularly. Failing to do this could lead to these tubes wearing out and eventually leaking corrosive chemicals in your home. And while we’re on the subject of tubing, don’t forget to swap out old suction and discharge tubing for new tubing. Doing this will help avoid clogs and leaks. Many newer chlorine injection systems utilize chemical controllers to monitor pH, ORP, and TDS. These controllers are vital to the safety of your water and your injection system, and should only be installed and serviced by experts like those employed at Johnson Water Conditioning. There is no such thing as a “turnkey” chemical controller. Do you live in the Chicagoland area? 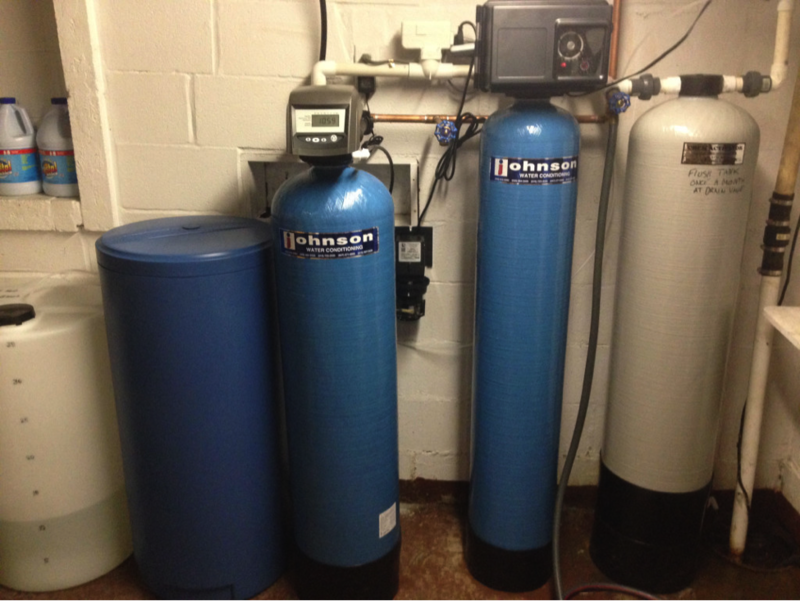 For questions about the care and maintenance of your chlorine injection system, contact Johnson Water Conditioning today.